I’ve never wanted to meet Bob Dylan. In fact, I think that if I was offered the chance to meet him I would probably decline it because I would be a) too intimidated to say anything meaningful to him and b) too afraid that he would be utterly dismissive of me and I’d leave feeling crushed. 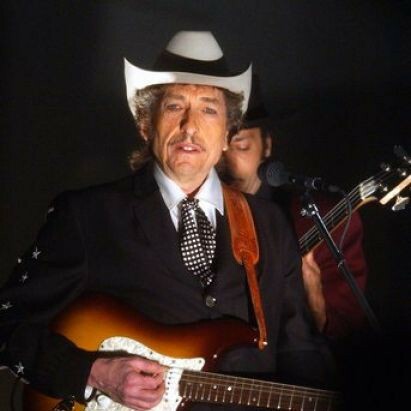 That latter feeling, and a bit of the former, were more than confirmed by listening to Dylan’s January 26 appearance on Bob Fass’s late night show on WBAI radio in New York. 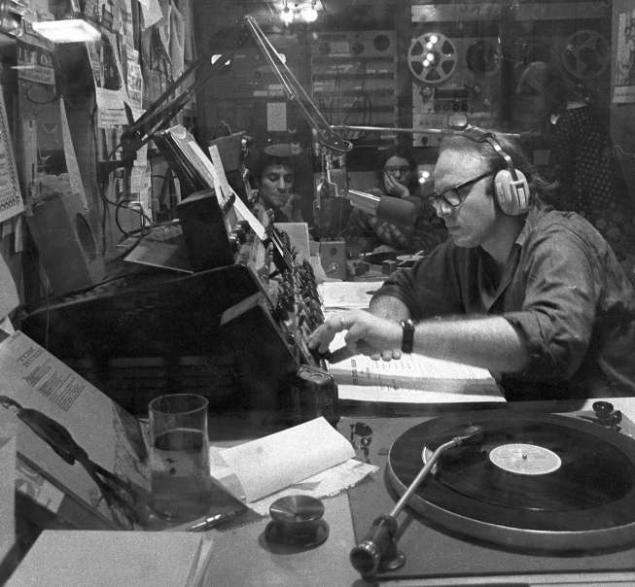 Fass is the legendary host of Radio Unmentionable, and he was a friend of Dylan’s from around the time that Dylan first arrived in New York. One night in late January, during the recording sessions for Blonde on Blonde, Dylan appeared on the show late at night (I’m not sure what time, but one woman says she needs to go back to sleep, and another worries that he has to get up by 8:00). He and Fass then proceeded to take calls from listeners for about two hours. Dylan may or may not be chemically altered. Both Bobs sound a little punch drunk, at the very least. A lot of this is the same sort of thing that you see in Dont Look Back, but unedited. This means that there’s a lot of dead time (“Am I on the air? Is this Bob? I have a question for Bob…”) but there’s also a very anarchic sense to the whole ordeal. Many of the callers ask the most asinine questions that they are almost painful to listen to. How any celebrity can put up with this sort of thing I do not know. In the first half hour the only halfway decent conversation is when a caller asks him for his opinion on The Fugs (he thinks they’re great, he’s met them around New York, he’s never had a chance to see them live, and Fass can’t play them on the radio due to the FCC…). The next caller, realizing that the key to Dylan’s heart is to ask him about music, asks him for his opinion about The Byrds, and Dylan blows him off. That guy had it coming. The first of the two most interesting exchanges is with a male caller who wants to know why he doesn’t sing about Civil Rights and Vietnam anymore. Dylan tells him that he doesn’t have time for that, and besides, how could he stop a war? It’s a very telling conversation – Dylan initially tries to brush him off, but the caller is able to get a very little bit of honesty out of him and almost a straight answer or two. Dylan, for instance, claims that there was no bravery required for him to participate in the March on Washington, because when there are 300,000 people there that’s not a brave act. There’s some self-reflection happening that is genuinely interesting. The other bit is maybe only fascinating because I listened to it tonight. Speaking with an insurance adjustor, who he clearly does not like and wants to spar with, Dylan puts the caller down and notes that the caller seems upset to being hearing advertising on the commercial-free listener-supported WBAI. The combination of Dylan’s referencing advertising, and the accusations generally made of him during the show that he has sold out, show how little has changed for the man in fifty years. All day my social networks have been filled with arguments about Dylan’s Chrysler commercial during the Super Bowl (the yogurt one far less so). There’s the occasional sense of betrayal that seems completely at odds with the attitudes of that man that I’ve been listening to for the past couple of weeks. If there’s one thing that I’ve already learned it is that Bob Dylan doesn’t really care that much what you think of him. He’s been called a sell out by larger and more vociferous groups than today’s Twitterers, and he probably will again. A clip from the interview on YouTube. Sort of reminds me of the scene in WATCHMEN where Dr. Manhattan reappears after Ozymandias zaps him–“Restructuring myself after the subtraction of my intrinsic field was the first trick I learned.” Not allowing people’s emotional investments in “Bob Dylan” to impinge on his life was the first trick Dylan learned.